Project X Origins is a ground-breaking guided reading programme for the whole school. Action-packed stories, fascinating non-fiction and comprehensive guided reading support meet the needs of children at every stage of their reading development. 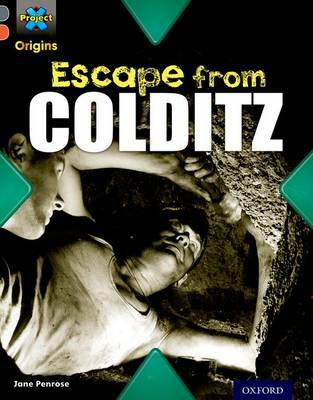 Escape from Colditz explores escape attempts from Germany's highest-security prison during the Second World War. Discover the prison's poor conditions, the different disguises used to escape and how the British government tried to help. Each book contains inside cover notes that highlight challenge words, prompt questions and a range of follow-up activities to support children in their reading.